Fall is (almost) here which means dusting off that slow cooker. A slow cooker can get your dinner on the table with very little planning on your part. Are you a menu planner or a fly-by-the-seat-of-your-pants planner? Someone somewhere said work smarter, not harder and this is my version of that. By the way I am a total fly-by-the-seat-of-your-pants planner when it comes to dinner time. I will look at the clock at 5:17 pm and think “Crap! What should we have for dinner?” Using my slow cooker allows me to pretend that I am a menu planner that has it all together. A little bit of smoke and mirrors. Muah-ha-ha! 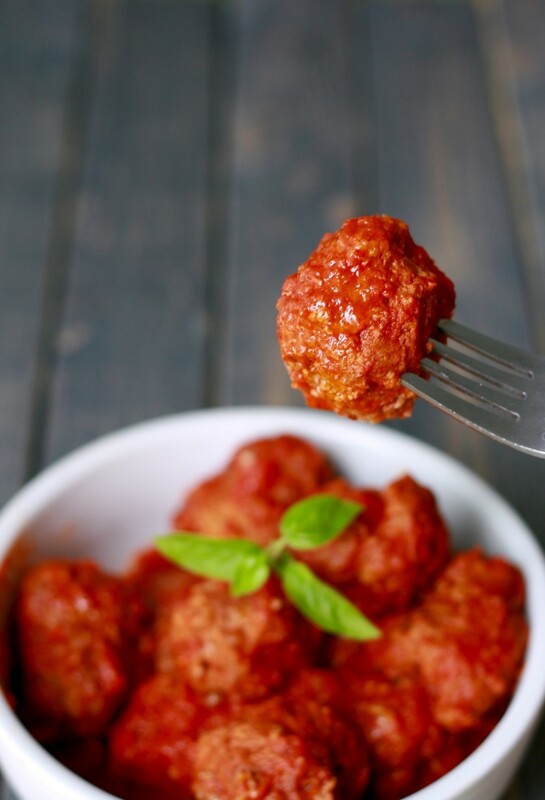 The only planning required for this recipe is the actual making of the meatballs. When you mix together the meatballs it isn’t that big of a deal since you will need to freeze them for 4-6 hours or overnight. Then. THEN. 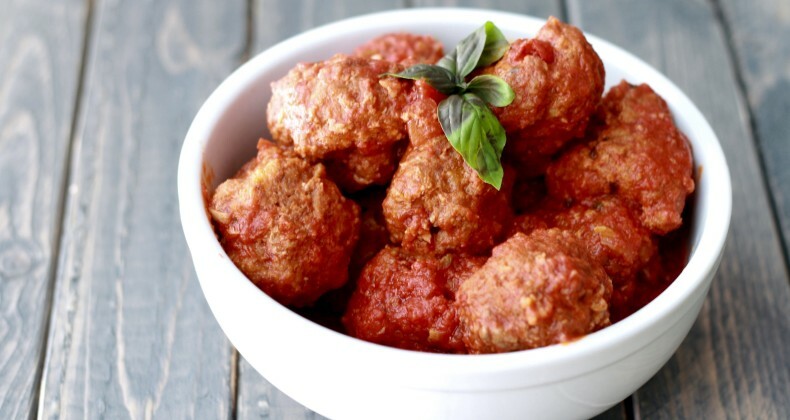 When you are ready to make the meatballs place them directly from the freezer into the slow cooker, cover in sauce, and let it work its magic all day. The meats I like to use in these are ground chuck, ground Italian sausage, and ground veal. Add in some breadcrumbs to hold it all together. Italian herbs and garlic, lots and lots of garlic for me! to give it some flavor. Wham bam! Throw that ish up on some spaghetti or a gigantic hoagie bun. Crumble it up for stuffing into jumbo shells, manicotti, or lasagna. Little effort with a big payout here ladies and gents. My kind of dinner! You have all seen the slow cooker recipes that are done in 6-8 hours. How is that helpful if you work all day AND commute? It isn’t! Well you can leave these bad boys cooking on low for 10 hours. Yes! What are your favorite slow cooker type recipes? To cook in the oven place thawed meatballs on parchment lined baking sheet. Bake 20 minutes at 425 degrees turning after 10 minutes. Simmer in marinara sauce for 5-10 minutes. Looks like a great recipe. Fall is a great time to boot up the slow cooker again. Thanks Trista I will check it out! Thanks Melissa. Hope you enjoy! SO YUM! Making these SOON <3 Too bad I didn't see this earlier we are making spaghetti tonight and these would have gone perfectly. That looks sooo good. Thanks for the detailed recipe and the “How To” very helpful. I heart slow cooker recipes…I think I may actually follow a recipe and give this a try! Oh yum, this looks fantastic and what a great idea for a slow cooker meal, and you’re so right, fall = slow cooker meals, I just brought mine up from the basement and have been using it like crazy these last few weeks! The slow cooker is now my best friend so excuse me while I print this out!